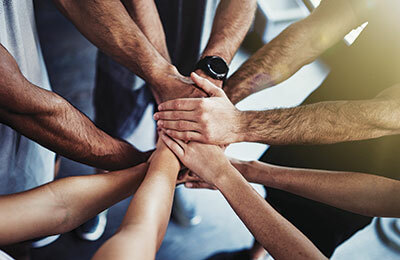 It’s been relatively recently that the huddle has made its way from the playing field to the business workplace, but it has proven to be just as effective in settings as diverse as the military, healthcare and restaurants as it always has been in sports. No matter the industry, employers who consistently use daily huddles realize increases in both productivity and profits due to the improvement in communications, focus and morale huddles deliver. Simply put, huddles remind employees every day why they and their jobs are important while also making sure everyone is on the same page. Leading an effective huddle, however, calls for a completely different strategy than you use for the weekly staff meeting. Here are the 10 commandments of preshift huddles. 1. Thou shalt keep thy huddles short. Make them no longer than 10 minutes and even shorter would be better. To this end, start on time every time with everyone standing and ready to go as soon as the huddle is over. 2. Thou shalt make attendance mandatory. No ifs, ands or buts. 3. Thou shalt standardize the agenda. It might take a few weeks to hit upon the formula that works best for your team, but once you do, prep time will be minimized and everyone will relax because they know what to expect. 4. Thou shalt accentuate the positive. What good things happened the day or shift before? What goals were met? 5. Thou shalt spell out the game plan. Specify the day’s overall objectives and why they’re important. 9. Thou shalt ask for questions. Questions are the key to clarification. Get even more group participation by asking if others in the group would like to provide the answers. 10. Thou shalt summarize and finish with a flourish. Tell them what you told them (in one sentence) and then lead a cheer or have someone share an inspiring quote or recite the organization’s mission statement in unison. Just make sure participants leave fired up and ready to take care of your business.